About Me | Life After The J.D. I’m Marcus. I’m just graduated from Seattle University School of Law in Seattle, Washington. This blog is designed to help me keep track of everything that happens post-graduation, but most importantly, it is about learning how to transition from being in school to being out in the world. At the same time, learning of my adventures will help current or future law students (or students in general) do the same. I can be reached at marc.cannon@gmail.com. Or, you can follow me on Twitter: @Lifeafterthejd. To stay up-to-date, go to the right and sign up for email updates. 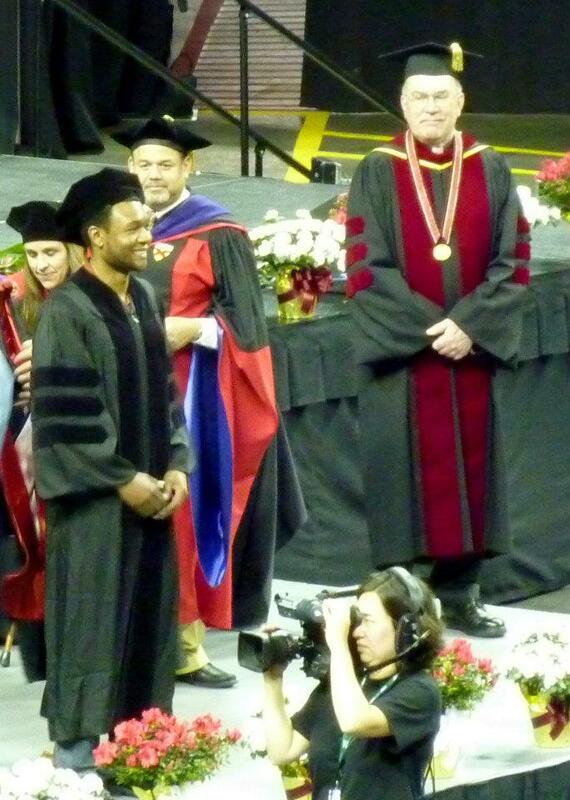 Last, here’s a picture of me getting my degree. My friend Justin said that it looked like Hogwart’s inside Key Arena with all of my classmates and professors in their robes. Can’t say I disagreed! This picture was taken about .02 seconds before I was officially turned into a juris doctor.